1) . 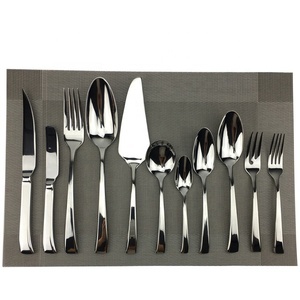 QUALITY AND PATTERNS Our cutlery with high grade mirror polished always are supplied for 4-5-star hotel or restaurant all over the world. 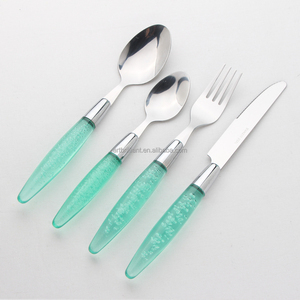 2) SAMPLE: We can send them to you are free if you could offer your DHL,TNT or Any courier no. 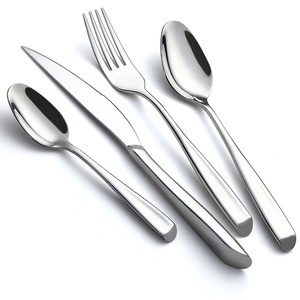 3) MOQ:1000dozs 4) LOGO We can laser your logo on the top handle end of cutlery. Our company owns great importance on practice and innovation with young and energetic talents. 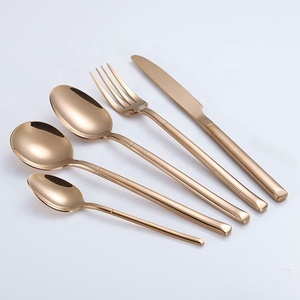 W e specialize in producing all kinds of stainless steel cutlery. 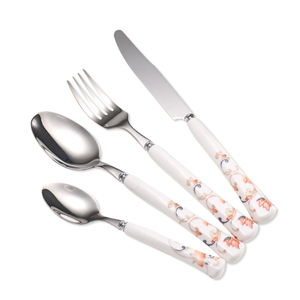 W e are confident that we shall be able to give you our best products and service. 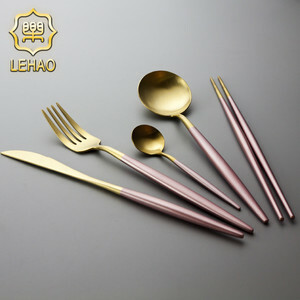 If you need more information about our company and products, please feel free to contact us. Q:How to get a sample9 A:Free samples are available for your checking and testing. Q:How to visit your factory9 A:Most of the main cities have flight to Jieyang;you can take flight to Jieyang Chaoshan International Airport. 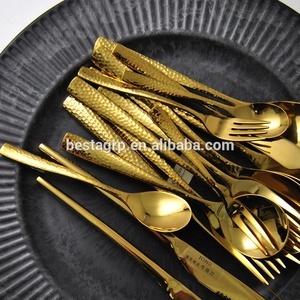 Alibaba.com offers 857 inox cutlery products. 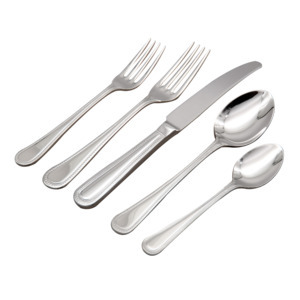 About 76% of these are flatware sets, 8% are dinnerware sets, and 1% are spoons. 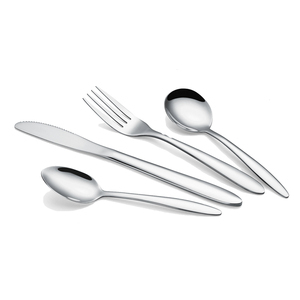 A wide variety of inox cutlery options are available to you, such as free samples, paid samples. 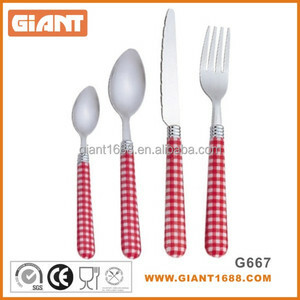 There are 849 inox cutlery suppliers, mainly located in Asia. 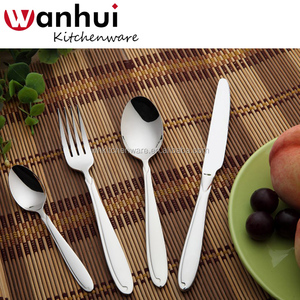 The top supplying countries are China (Mainland), India, and Italy, which supply 93%, 4%, and 1% of inox cutlery respectively. 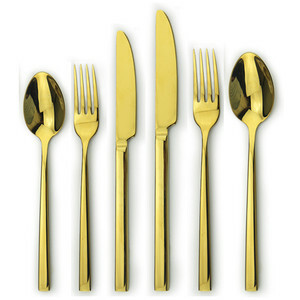 Inox cutlery products are most popular in North America, Mid East, and South America. You can ensure product safety by selecting from certified suppliers, including 143 with ISO9001, 47 with BSCI, and 36 with Other certification.